Should the Legislature Vote for Expansion of Charter Schools In the State Budget? There IS truth in humor. Read and enjoy Colin McEnroe’s wonderful op-ed piece, which was in The Hartford Courant on May 17, 2015. Then please participate in the poll that follows the article. Every time you refuse to support charter school funding, God kills 1,000 kittens. This point has been driven home repeatedly in Connecticut at rallies — one of which is taking place on your front lawn right this minute — and in advertising and by lobbying. Once you’ve washed the kitten blood off your hands, I would urge you to join this movement. The first thing you must do is start a semi-mysterious advocacy group. By statute, the name of your group must contain the words “excellence,” “achievement” and “families.” Excellent Families for Achieving Excellence would be a good choice, but I believe it’s already taken. Then you will need one or more jillionaire capitalist underwriters, such as Tony Stark, C. Montgomery Burns or Lex Luthor, although several of those are already taken too. All set? Great. Time to work on your message. What are you going to say? Well done. It bears no resemblance to reality, but that may not be important. In fact, Gov. Dannel P. Malloy’s budget proposes new funding for charter schools while keeping public school funding essentially flat. So the charters, which currently educate only 1.5 percent of the school population, would get the prize while everybody else eats the Cracker Jacks. Democrats in the legislature have pushed back against this plan, and the charter school advocacy community has responded by going nuts with advertisements, surface mail, rallies and email blitzes to legislators of such a staggering volume as to call into question whether they teach McMahon’s Law in the charter schools. McMahon’s Law, named after spending pioneer Linda McMahon, posits a definable tipping point at which money spent on your behalf will abruptly begin causing people to hate you. How much money? Here I can rely on the excellent reporting of the Courant’s Kathleen Megan and Matt Kauffman and the Connecticut Mirror’s Jacqueline Rabe Thomas. All three are currently being held by Charter Moms for Family Excellence in Education Kidnapping Achievement, but I am confident of their future release, possibly in time for the Festival of the Beheading of Jonathan Pelto, the most sacred day on the charter school calendar. Simple number: the charter advocacy groups have spent roughly $1 million during the current legislation session. It has been the kind of push legislators usually experience when private industry wants to store spent nuclear fuel rods in Gillette Castle or something. Weird number: they spent $14,000 at Subway recently to feed the people they bused to the state Capitol. What did we say about ordering those steak and bacon melts, people? You can scream just as loud on something from the $5 menu. Disclaimer time! Many charter schools are full of hard-working people who get good results for their somewhat niche student bodies. Second disclaimer: anti-charter school paranoiacs can be as weird and obnoxious as their opponents. But still, $1 million in influence peddling money does not come from people in mom jeans listening to Los Lonely Boys on their earbuds. It comes from Lord Business. What do the wealthy charter backers want? It seems like an odd stew of altruism and the never-ending goal of making education align more perfectly with the human resources department. Plus, it’s always fun to break one more union. Here’s what I don’t get: why should the state spend any money — $32 million over two years as proposed by Malloy — to start new charter schools and expand old ones? Shouldn’t we be concentrating on our truly public schools, the ones that currently educate 98.5 percent of our students? You like charter schools? Fine. You start them. Everybody knows Connecticut is facing an “education crisis” and that many of our schools are “broken” and “failing.” But the primary source for this kind of rhetoric is ConnCAN, one of the major charter advocacy groups. There are probably a lot of nuances about the topic that have eluded me. Fortunately, some of the people for Achievement For Every Child Through Family Excellence are ringing my doorbell right now. The other night, I was making shrimp scampi for the first time. The man behind the fish counter at Whole Foods had talked to me about the importance of de-veining the shrimp exactly right and predicted unpleasant results if I didn’t follow his directions precisely so I wasn’t paying attention to the news on the small kitchen TV. Then, out of the corner of my eye, I saw an ad which told me that this sweet, forlorn little girl was about to have her locker, her school desk, her teacher, her friends, and even “her very self “taken away from her if the Connecticut legislature did not fund new seats in her public charter school. Moreover, the ad said that 861 children would be denied access to new seats in public charter schools. 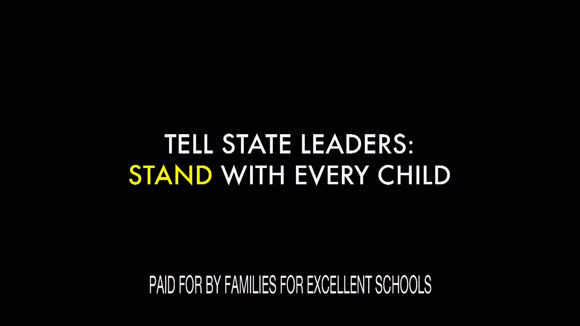 The ad concluded with a plea to Connecticut legislators to live up to their responsibility for all of Connecticut’s children. I continued to de-vein the shrimp. Several shrimp later, the ad came on again, and I watched it more intently. I heard again about the sad plight of the lovely little girl and was shown how happy she had been before everything was taken away from her (See below). When I finished with the shrimp, I put the water on for the pasta. As I placed the cutting board I had used for the shrimp into the dishwasher, I looked to the TV, and there was the ad again. I saw once more how the little girl was overcome with sadness without her locker, without her desk, without her teacher, without her school, and without her very self. When the water boiled, I added the pasta. The pasta took seven minutes to cook. As I drained the pasta, the ad came on once again. I heard for the fourth time that the sweet little girl would have her locker, her desk, her teacher, her very self taken away from her, and it was the fault of the Connecticut legislature because legislators were threatening to not fund new seats in her charter school. First of all, how would this little girl have her existing seat, locker, friends, and teacher taken away from her since it is new seats, not her seat, that are at stake in the state budget? Also, who has the kind of money to run this ad four times in the time it took me to make a meal that the recipe said took 30 minutes? Why would that child in the ad be denied a locker, a desk, a teacher, and a school? Don’t we have public education in this country with lockers, desks, and teachers to which all students have a right? Why would this child lose “her very self”, her whole identity, if she didn’t have a charter school? What disservice was being done to her that she would feel adrift in the world without the identity of attending a charter school? Who would foster that kind of cult-like allegiance? What happened to Brown vs. the Board of Education and Sheff vs. O’Neill? Aren’t all children better off in classrooms of diversity? The children in the classroom in the ad, as typical of charter schools, are all children of color. Why are the 861 children who could fill new seats in publicly funded but privately owned and privately managed charter schools more important than educating 98.5% of children in Connecticut who attend publicly funded and publicly accountable traditional public schools? Governor Malloy’s proposed state budget does not increase funds for traditional public schools but does call for an increase in funding for public charter schools. Watching this ad convinced me that the governor has the wrong priority in requesting the funding of new charter schools seats and not increasing funding for traditional public schools. Even more importantly, I became aware of how parents and children in Connecticut’s inner cities are being taken advantage of by those who own and run publicly funded, profit-making charter schools. Parents in Simsbury, South Windsor, Fairfield, and Mansfield, or any other suburban community would not tolerate a publicly funded but privately owned and managed charter school in their town. Can you imagine a neighborhood in West Hartford in which two or three of the children on the cul-de-sac attend a charter school, funded with $11,000 per student per year of taxpayer money and promoted as a superior school, while all the other children in the neighborhood attend what is said (by the charter school advocates) to be an inferior school also funded by taxpayer money? Can you imagine Avon supporting a public charter school although that school has no greater performance record than the Avon Public Schools? Measured by standardized test scores, which is the current American way of determining school excellence, about 50% of charter schools perform the same as their traditional public school counterparts although the charter school student population is more selective and has fewer special education students and fewer students with English as a second language. The other 50% of charter schools are about equally divided between some doing better than traditional public schools and others doing worse than traditional public schools. What is clear from reviewing the studies of charter school performance is that charter schools have not lived up to their claim to provide an education significantly and dependably better than traditional public schools. Can you imagine New Canaan parents sending their children to an elementary school in which 23.78 % of the children are suspended as at a charter elementary school in New Haven (Achievement First’s Amistad Academy)? Or can you imagine Wethersfield parents sending their high school students to a charter school that suspended 58.6% of its students (Elm City College Prep) or 53.5% of its students (Bridgeport Achievement First) as compared to 25 % of high school students suspended from “failing” high schools and 12.3% as the state-wide average for high school suspensions? Can you imagine a high school in Glastonbury in which 50% of the students who entered the school as ninth graders would be pushed out of that high school by senior year, thus producing a graduation rate of 50% although touted to be 100% because 100% of those not pushed out of the school did graduate? The graduation rates and college acceptance rates in Connecticut’s charter schools need to be scrutinized. For example, in 2013, Achievement First’s Amistad High School announced that 100% of its seniors were accepted to college. In reality, 38% of those who entered the high school in ninth grade were accepted to college, 25 students out of the original 64 ninth graders. The remaining 39 students were either held back in senior year or were no longer enrolled in the school. Can you imagine a school in Madison having a 20-45% teacher turnover rate with young, uncertified teachers who have no teaching experience coming in each year and staying for an average of 2.3 years as in most charter schools, including Achievement First schools in Connecticut? High teacher turnover affects the quality of the education because it impedes the development of instructional cohesion within the school or school district. Teacher turnover rate in charter schools is much greater than in traditional public schools, and teachers in charter schools are more likely to leave the profession than teachers in traditional public schools. Can you imagine the taxpayers of Greenwich supporting a school budget in which 10% of the budget went to a charter management company with no oversight by local or state taxpayers through the Greenwich Board of Education or the Connecticut General Assembly? The answer to all for all of these questions: Of course not. Families For Excellent Schools, though, is asking the state legislature to give to our inner cities, through the funding of new charter school seats, a kind of education that would not be tolerated in our more affluent towns. The words of this last frame of the ad are correct. The Connecticut legislature must stand with all of Connecticut’s children, most of all those being victimized by the charter school establishment, funded by billionaires such as the Walton family, owners of Walmart. 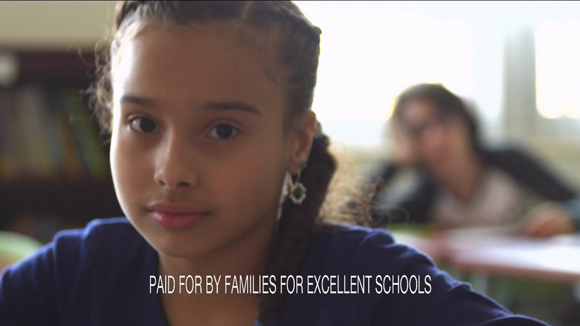 The Walton family underwrites the organization called Families for Excellent Schools and, among others who do not give their names, is responsible for the ad I saw four times before dinner. Connecticut legislators have a public trust to deliver to ALL Connecticut children a well-funded, taxpayer-accountable, integrated, PUBLIC school with experienced, knowledgeable teachers and administrators who are involved in the school for the long term, knowledgeable about providing the best learning experiences possible, and committed to graduating all the students who enter their schools. It is the responsibility of legislators to give our inner city children the same quality of education that children in more affluent towns in Connecticut receive. Those children do not deserve to be shuttled into academically limited, segregated, restrictive learning environments of publicly funded but privately owned and privately managed charter schools. The legislature should not vote to fund the expansion of charter schools. It makes no sense. It is simply wrong. Can you imagine New Canaan parents sending their children to an elementary school in which 23.78 % of the children are suspended as at a charter elementary school in New Haven (Achievement First’s Amistad Academy)? Or can you imagine Wethersfield parents sending their high school students to a charter school that suspended 58.6% of its students (Elm City College Prep) or 53.5% of its students (Bridgeport Achievement First) as compared to 25 % of high school students suspended from reform districts of “failing” schools and 12.3% as the state-wide average for high school suspensions? Can you imagine the taxpayers of Greenwich supporting a school budget in which 10% of the budget went to a charter management company with no oversight by local or state taxpayers through the local Board of Education or the Connecticut General Assembly? Connecticut legislators have a public trust to deliver to ALL Connecticut children a well-funded, taxpayer-accountable, integrated, PUBLIC school with experienced, knowledgeable teachers and administrators involved in the school for the long term, dedicated to providing the best learning experiences possible, and committed to graduating all the students who enter their schools. Russ Walsh, an experienced curriculum director in school districts in New Jersey and Pennsylvania, regularly contributes considerable wisdom to the conversation about education through his blog called Russ on Reading (russonreading.blogspot.com). In this May 17th post, he points to the disaster that awaits us as a nation if support for public schools continues to erode. His post is below. We in Connecticut right now are faced with a choice regarding state funding: Do we support the public schools which serve all students or give public money to charter schools which will serve only a few students and, at the same time, provide private citizens with personal financial gain? I contributed to the Connecticut conversation about standardized testing by speaking before the Education Committee of the General Assembly on March 19, 2015 because I think that legislators, like many citizens, believe the media spin about the Common Core and SBAC testing. For example, they could believe that the Common Core standards are rigorous since that is how the standards have been marketed and believe that the SBAC tests are also rigorous since so many students fail them. In reality, the low pass rate is a pre-determined decision, and the standards are mundane. Many of us, if we wanted to, could create tests in such a way that very few of our students could pass. But why would we want to? Why does Connecticut want to? The SBAC tests are not intellectually challenging; they are just very effective “gotcha’s”. The truth is that SBAC tests measure the wrong things because they are based on the wrong standards. They do not promote student learning and do not equip students for their future. I tried to explain the harm in SBAC tests to the legislators by summarizing my opposition to SBAC (explained more fully in my prior post) and recommending a call to action. I waited more than three hours for my turn to speak and spoke for the allotted three minutes. And what did it change? Exactly nothing – at least not at that time in that place. However, I wholeheartedly believe that educators should keep speaking out, and someday we will make a difference. Tuesday’s rally in Hartford against SBAC testing was a hopeful sign. It would be great if the teachers unions become champions of real learning and authentic, curriculum-based assessments and keep their focus on speaking out against the damaging SBAC tests and the inadequate standards to which they are aligned. Connecticut educators have the experience and the expertise to know the truth about what real learning is and what good assessments are. Educators must keep telling that truth to those in power. Good afternoon Chairman Fleischmann and Chairwoman Slossberg and Members of the Education Committee. My name is Ann Policelli Cronin. I have been a designer of nationally award–winning English curricula and a supervisor of English teachers in Connecticut for 22 years. I am here to tell you that that the Common Core Standards for English Language Arts and the SBAC test for high school English lack rigor and will not make students “college and career ready”. If Connecticut continues with SBAC testing, all of Connecticut’s high school students will be harmed, and it will be impossible to solve Connecticut’s greatest educational problem: closing the achievement gap. All students are harmed because the SBAC English test doesn’t measure what it means to read thoughtfully and write effectively. Not one English teacher, not one college English professor, and not one professional with expertise in adolescent cognitive development worked on the committee that wrote the standards on which the SBAC test is based. Instead the standards were written by test makers who decided what was good for students to learn was only what they could measure on a standardized test. That is not literacy. The SBAC test hasn’t been field-tested and even the executive director of SBAC, Joseph Willholt, has said that, without field-testing, the test lacks validity. No one knows if a good score means a student will succeed in college, and no one knows if a poor score means a student will struggle in college. SBAC also doesn’t assess any of the key skills for the global workplace: questioning, collaborating, effective communication, and metacognitive (learning-to-learn) skills. Students in schools with histories of low test scores will be hurt the most because, in an effort to raise test scores, much instructional time is spent on test prep. So the very students who need experiences of reading, writing, and collaborating the most will be denied them. The gap between these students and their more affluent peers in schools with traditionally high test scores and, therefore, less test prep time will widen. The rich will get richer as readers and writers, and the poor will get poorer without those literacy skills. Also with the passing rate set at 40%, many labeled as failing will be students from poverty because scores of standardized tests always correlate with family income. How long will a student be motivated to learn and how long will that student stay in school if he or she fails the test each year? Not only are impoverished students receiving an inferior education, but also their dropout rate will increase. Don’t spend money on SBAC. If we want to assess how we are doing as a state with standardized measures, use, without cost, NAEP, the most respected of standardized tests. Truly “level the playing field” not by testing and punishing students but by addressing the learning needs of those disadvantaged by poverty and racism. Empower Connecticut educators to design assessments to measure what students need both for their future in the global workplace and for developing their potential as learners and thinkers. What we need to standardize in Connecticut is what we as educators, citizens, and legislators do to create opportunities for real learning for ALL Connecticut’s students. The first step is to stop inadequate and damaging SBAC testing. Connecticut currently mandates the testing of public school students in grades 3, 4, 5, 6, 7, 8, and 11 with standardized tests produced by the Smarter Balance Assessment Consortium (SBAC). I am opposed to SBAC testing for English language arts because those tests neither measure authentic achievement nor foster students’ growth as readers, writers, and thinkers. Here are 10 reasons to STOP the harmful SBAC testing. SBAC tests are not rigorous. The tests do not demand complex thinking. The tests are aligned to the Common Core standards, and the content of the Common Core Standards for English Language Arts is inferior content which does not serve to develop students as motivated, engaged readers and effective writers. SBAC tests are not field-tested for college and career readiness. No one knows if a good score indicates that a student will be successful in college or careers or if a poor score indicates that a student will struggle in college or careers. According to Joseph Willholt, executive director of SBAC, there is a “large validity question “ about the tests in regard to college readiness. The SBAC tests do not measure the skills students will need for the global workforce. Those needed skills are: to pose and shape critical questions, to collaborate with others of different cultures and points of view, to communicate effectively orally and in writing, and to use meta-cognitive skills (learning how to learn skills) when facing new problems. Other countries with which we compare ourselves measure those skills because they have standards for them, but we have neither the standards to teach those skills nor the SBAC tests to measure them. SBAC tests are not developmentally appropriate. The Common Core English Language Arts Common Standards were not written by educators or those with knowledge of child and adolescent development. They were written by employees of testing companies. The content of the standards and of the SBAC tests is simply what test makers determined could be measured on standardized tests, not what is appropriate for students to learn or what fosters student growth as readers, writers, and thinkers. The National Council of Teachers of English did not endorse the Common Core because of the content of those standards, the content SBAC tests measure. SBAC tests are capriciously graded. The passing grade on the tests is arbitrarily set. On the high school SBAC tests, the passing grade is set such that 70% of students will be labeled as failing the math portion and 60% labeled as failing the English portion. The passing grade on SBAC has been set at what the highly respected National Assessment of Educational Progress considers a B+/ A- performance. SBAC labels all those who score a B or lower as failures. SBAC tests serve to widen the achievement gap. The more time students spend preparing for SBAC tests, the less education they will have in authentic literacy learning. Time spent in test prep for SBAC robs students of reading, writing, and collaborating experiences which develop literacy skills. Schools with a history of low test scores spend concentrated time on test prep; schools with traditionally high test scores do not spend time on test prep. Therefore, the gap between those graduates with genuine skills in reading, writing, and collaborating will widen with students of privilege receiving a notably better education than students in schools with historically low test scores. SBAC tests discriminate against Connecticut’s neediest students. Since all standardized test scores correlate with family income, many children of poverty will fail. 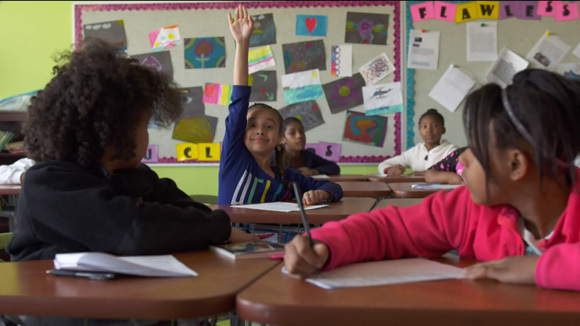 How long will students be motivated to learn and how long will they stay in school if they fail tests in 3rd grade, 4th grade, 5th grade, 6th grade, 7th grade, and 8th grade? Not only are impoverished students receiving a poor education with Common Core but their dropout rate will also increase. SBAC tests narrow the curriculum. Preparing students for SBAC tests requires a high school English curriculum that strictly adheres to the Common Core. That adherence severely limits what students read, what thinking skills they learn as readers, what students write, and what kind of thinking skills they learn as writers. Common Core limits the amount of literature read and totally eliminates teaching students the skills of questioning, making text connections to themselves and their world, and analyzing multiple and divergent interpretations that reading literature offers. None of those skills are assessed on the SBAC test so are not part of the test prep curriculum many schools have adopted. Similarly, that test prep curriculum does not develop students as writers and thinkers. High school students are tested only on how they write formulaic arguments, graded either by computers or hourly employees hired through Craig’s List and not required to have knowledge about the craft of writing. Therefore, students do not have a curriculum rich in writing experiences which develop their inductive, explorative, and narrative thinking – all keys to success in higher education and the workplace. SBAC tests encourage poor pedagogy. Because of the high stakes of the SBAC tests, English teachers, especially in schools with a history of low standardized test scores,, prepare students for the test by adhering to the pedagogy prescribed by the Common Core. It, however, is a flawed and discredited pedagogy prevalent in the 1940’s and 50’s and does nor prepare students to think complexly. Not only does that pedagogy severely restrict students’ development as readers and writers, it discourages many of them from even wanting to become readers and writers. SBAC tests will not “level the playing field”. Connecticut is already doing well with literacy education. Connecticut ranks higher than 62 nations in the reading performance of 15 year olds (according to the 2012 PISA- Program of International Student Assessment) and ranks highest in the country in reading performance of high school seniors (according to NAEP, the nation’s most authoritative measure of academic performance in reading and math). If standardized tests are thought to give us useful information, we already have that information. We know that affluent areas of Connecticut provide an unparalleled education for their students, and we know that where students are impacted by poverty and racism, those students suffer. To level the playing filed, we need to provide for impoverished students what their more privileged peers have been given and standardize opportunities for learning for all students. SBAC tests teach the wrong values. The tests teach children that competition, beating out other schools and other students, is what matters instead of the student’s own learning, the student’s own passion for ideas, the student’s own growth as a thinker, a reader, and a writer. Connecticut educators can design assessments which measure the achievements students really need for their future. I have done considerable work with teachers in both affluent and impoverished districts to design assessments that measure critical thinking, creative thinking, collaboration, and oral and written communication for students of all abilities. Student achievement always exceeds original expectations when teachers are invited to do this work. We CAN improve achievement in Connecticut for ALL of our students but not with SBAC tests.